About – Druckman & Blatt, P.C. 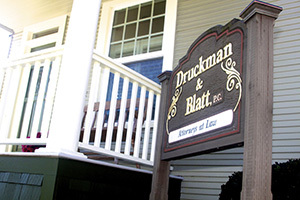 In 1998, Jeffrey J. Druckman formed what is now Druckman & Blatt, P.C. 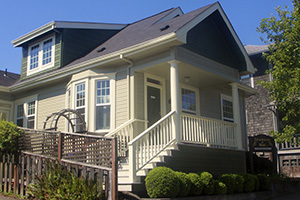 Jeff had previously practiced with a large Northwest regional firm for 18 years. The premise of the new practice was that a small office could provide high quality legal work to businesses, with more personalized service and lower rates than that offered by large law firms. Janine C. Blatt joined the firm in 2000. Janine practiced for several years at a large Northwest firm, handling the full range of employment law issues for Oregon businesses. Druckman & Blatt emphasizes the representation of management in all areas of employment law. The office’s operating principle is that every client should be treated as if he or she is the firm’s only client. Responsiveness and sensitivity to client needs are paramount concerns of the office. We see ourselves as problem solvers rather than problem creators and seek to achieve client objectives in the most efficient way possible. This approach has resulted in an unusually large corporate client base for a small firm. A representative list of clients appears on the page entitled “Representative Clients.” Prospective clients are encouraged to contact any of the firm’s existing clients to inquire into the level of service the firm has offered and the degree of satisfaction they have experienced. Much of our work takes place in state and federal court. We have substantial courtroom experience and practice in states throughout the Northwest, as well as the federal courts, including the Ninth Circuit Court of Appeals.